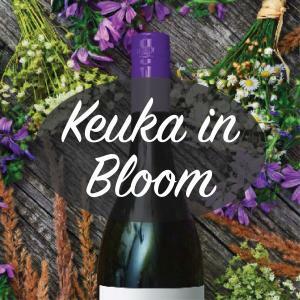 Flowers, herbs, wine, and Keuka Lake! Treat yourself to a relaxing weekend around the lake. Each winery offers samples of their fine wines alongside herb-inspired foods. Ticket holders will also receive one flower and one herb from every winery, each in a 4” pot and ready to plant. Tour all of our wineries and return home with delicious wines, great recipes, and 10 unique plants just in time for spring gardening. This event will take place on the Keuka Lake Wine Trail.